Police searching for Luke Jobson who went missing after a night out have found a body in the river. A major operation to find the 22-year-old, which involved dozens of volunteers, was launched in Yarm, Teesside, after he disappeared in the early hours of Saturday. 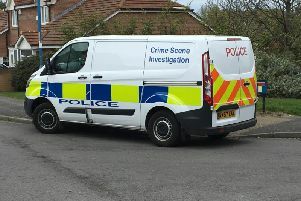 Cleveland Police said the body had not yet been identified but that his family had been informed and relatives were being supported by specially-trained officers. Three teenagers, one aged 18 and two 16-year-olds, have come forward to police and will be interviewed later. Police said one line of inquiry was that there had been an altercation outside the Keys pub in Yarm, and the force appealed for anyone with dashcam footage to contact them. Cleveland Police said in a statement: "Police searching for missing 22-year-old Luke Jobson have sadly found a body in the river at Yarm this afternoon. "Although formal identification has yet to take place, Luke's family has been notified and they are being kept updated while they receive support from specially-trained officers." Over the weekend and into Monday, dozens of members of the public turned out to assist in the search. Police officers focused on the area around Yarm School and at one point urged the public to keep away from the site as specially-trained officers did their work. That did not deter well-wishers desperate to help from looking in other search sites and doing their best to help. A Facebook appeal for help find Mr Jobson, a trainee engineer, was set up by his aunt and was shared more than 60,000 times. Asking for help, she wrote: "Luke needs to be found and needs to be home, fast, he is 22, he wouldn't hurt a fly, he is popular, happy calm lad that needs to be found ASAP." Later, she urged people with information to "open mouths".